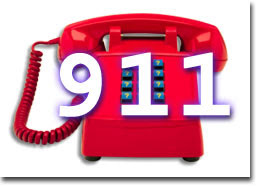 Americans have become dangerously dependant on calling 911 for protection against violent criminals. Rather than recognizing their own responsibilities to protect themselves and families they expect the impossible from their government. In many large cities it could take several minutes before you can even get connected to a 911 operator. Once that happens your emergency has to be digested and transmitted to a dispatcher who in turn must relay the information to patrol officers on the street. Patrol officers must next commute to your location which may be hampered by mistakes and misinformation within the chain of no less than four people. Assuming the police can get to your home or business within ten minutes from the time you picked up the telephone a violent criminal could end a lot of lives and be long gone. That’s exactly what happened recently at the Tinley Park, IL, Lane Bryant store where five women were murdered and one more was critically wounded by an armed robber. Yesterday morning In West Covina, CA Hsia Hsu, 45 called 911 about a burglar in her home. The burglar shot several times and killed her while she was on the telephone trying to summon aid. Needless to say all police could do once they got to her home is clean up the mess. We’ve allowed ourselves to become dangerously dependant on others to do what we must for ourselves. We’ve have equated self-help with vigilantism or a wrongful act of taking the law into our own hands. Self-defense is neither! Defense of family and self is first and foremost, our duty! Americans need the tools and training for self-preservation. Last on the list of emergency essentials is that telephone. Is it too simple to remember that all you get once the police arrive at your door is a good guy with a gun and some training? Once the police arrive they must determine who is who and they are not clairvoyant. Deadly mistakes have been made by police once they have arrived. In an emergency involving violence it’s you that needs the training and a gun! In the vast majority of cases if you are reasonably trained and properly armed the violence never happens. Cowardly criminals won’t risk taking on armed victims. I don’t understand how Americans automatically think of these self-defense scenarios only happening in their homes. Generally homes are safe places. We have locks, bars, dogs and often multiple family members are present. The most dangerous places are those mean streets and parking lots. That means you need your training and defense tools more than ever when you’re away from the safety of your home. In the violence prone larger cities run by the most Liberal politicians where law-abiding Americans really need guns. These are also the places where their rights to obtain them are obstructed the most. Waiting periods, permits, permissions, background investigations, outrageous fees, political and peer scorn are used to keep law abiding people from exercising their rights to keep and bear arms. 1. If you call 911 from a cellphone, for the love of God, know where you are, and tell us that when we ask. Don't just yell at the dispatcher to "Get the police over here now!" We have no idea where "here" is, as you are not GPS'd and we don't have a readout of your location, like we usually get from a landline phone. 3. If you have no landline, and rely solely on a cellphone, find the direct emergency access number for your local law enforcement agency (a number that will put you through to a 911 operator, directly to a deputy, etc.) and program it to a speed dial on your cellphone. In many areas, 911 calls from a cellphone still don't go directly to the agency that handles that particular area, but are routed to the Highway Patrol, State Troopers, or a centralized 911 answering point, which will further delay your getting emergency help. 4. Also, when using your cellphone, we all know that the call is free of airtime charges, but please keep in mind what constitutes an emergency and what doesn't - a car parked in the red zone near your house is not an emergency, a car on fire in front of your house is...your neighbor playing loud music is not an emergency, your neighbor having a heart attack is... Just to name a few. Remember that you bog down the system when you call for non-emergency situations,and delay us in sending help to someone who really needs it.